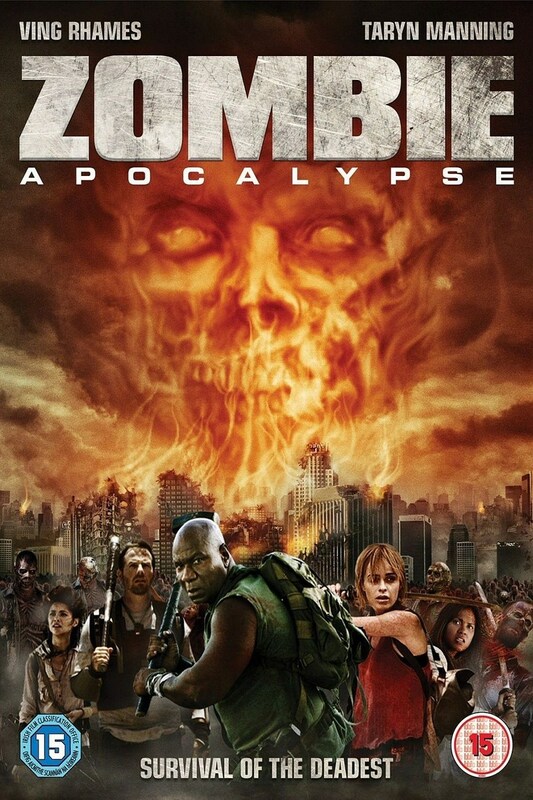 Zombie Apocalypse DVD and Blu-ray release date was set for December 27, 2011. This film follows three small groups of human survivors seeking refuge on Catalina Island after a zombie plague has wiped out 90 percent of the United States population. Larger numbers of survivors had fled major urban centers without knowing they were zombie plague carriers, in effect making the apolcalypse spread much faster. The uninfected minority need to reach a ferry boat before the undead hordes catch up with them, and only a lucky few end up escaping alive. Government and military officials eventually curb the spreading zombie plague by setting off an electromagnetic pulse that stops the newly infected from transforming fully into zombies.